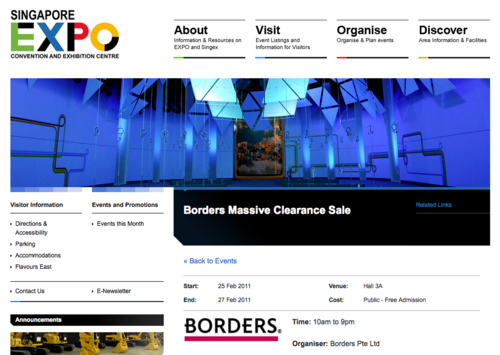 Follow up from my previous post on Borders shutting down in Singapore and Australia. I guess it says it all. From the Singapore Expo website.